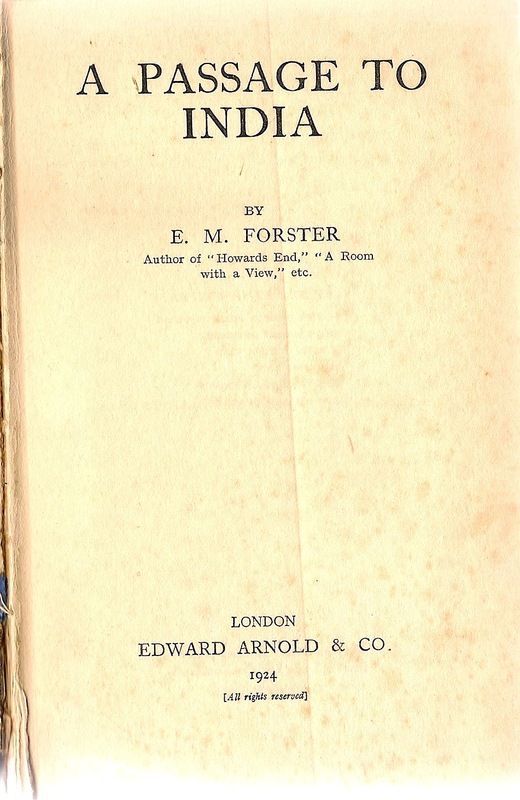 First edition published 4 June 1924. In their lifetimes books pass through many hands. Sometimes it is possible, and also interesting, to trace their passage. 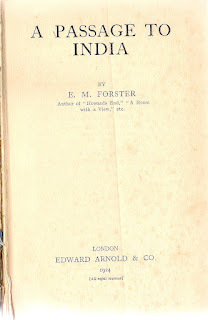 For example some years ago I bought a beaten up hardcover copy of E M Forster's A Passage to India. I bought it mostly because I needed it for writing Alexandria: City of Memory. I could have had a copy for less had I bought the paperback, but this happened to be a first edition, so I splurged and paid the £8. I did what I usually do with books and signed my name inside, though not on the title page this time, instead on the front flyleaf immediately below the signature of a previous owner, L H G Greenwood of Emmanuel College, Cambridge. I cannot say that his name rang a bell. 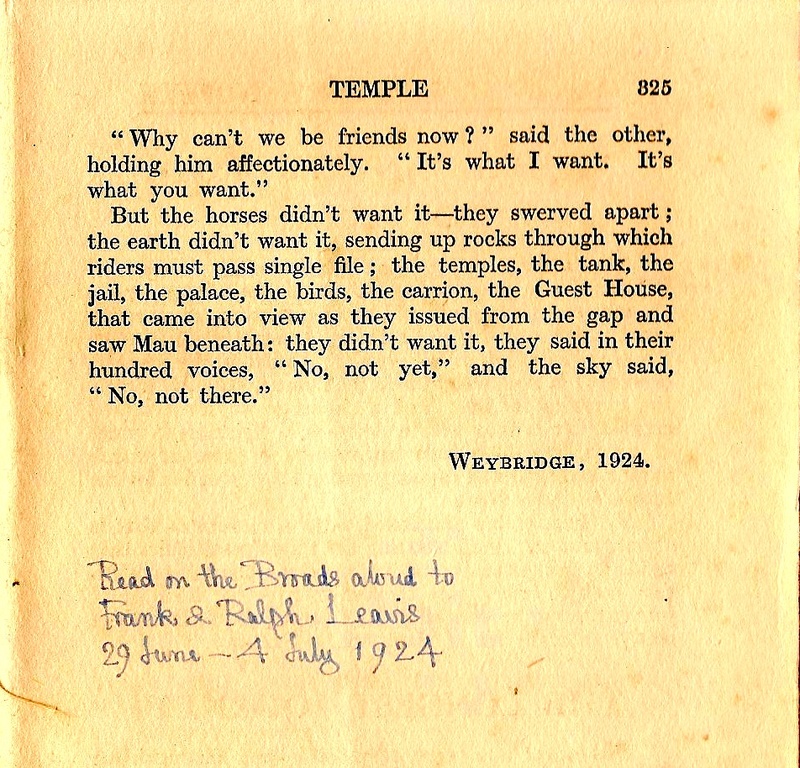 Greenwood signed his name in the book sometime during June 1924. I had read A Passage to India before and now I read it again. 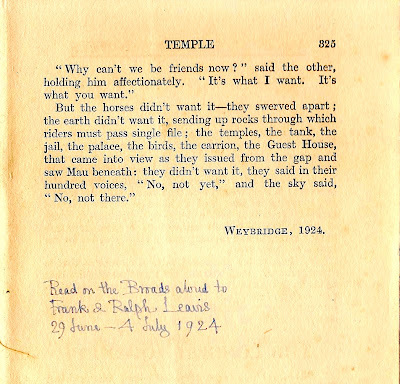 And when I got to the end and read that final passage of broken friendship and loss - '"No, not yet", and the sky said, "No, not there"' - I noticed that Mr Greenwood had been scribbling in my book again. A passage on the Norfolk Broads.